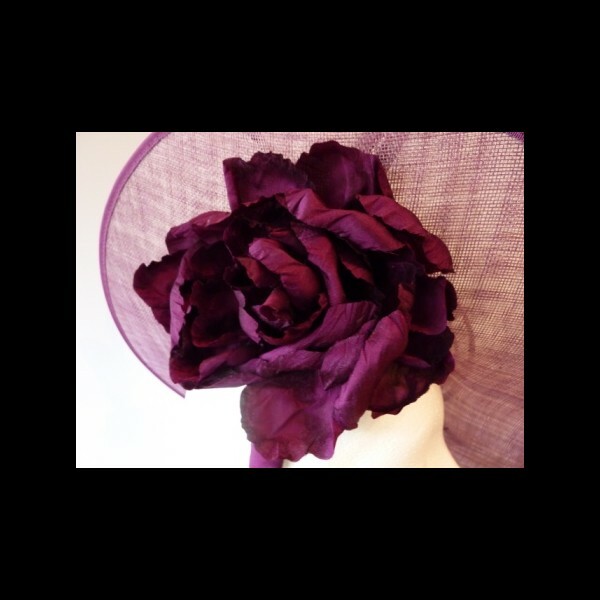 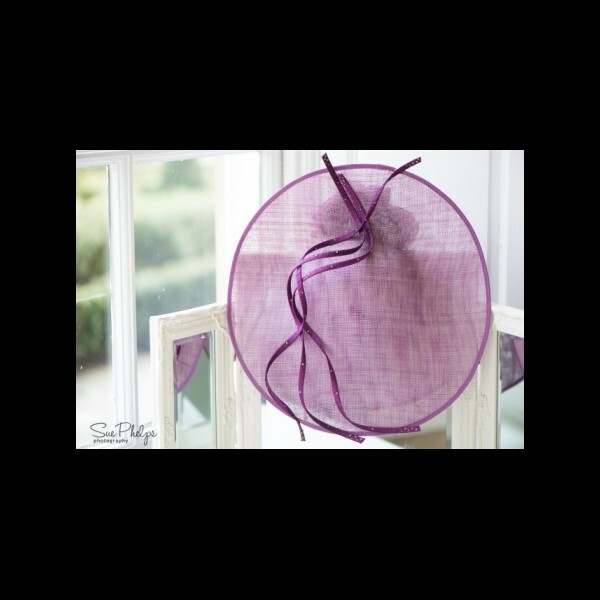 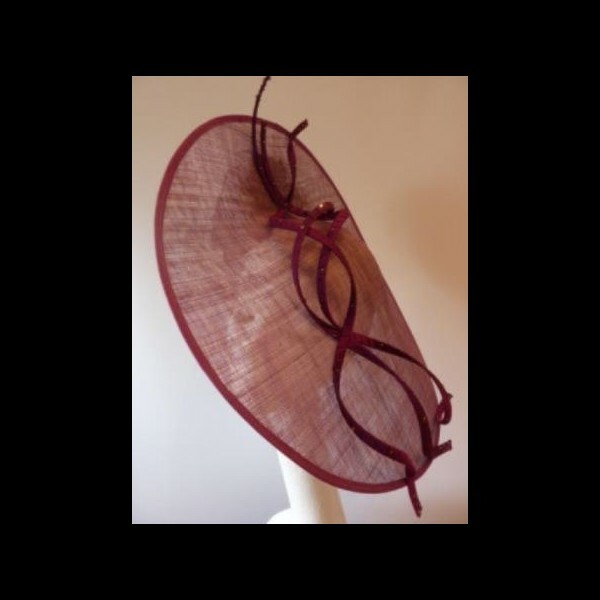 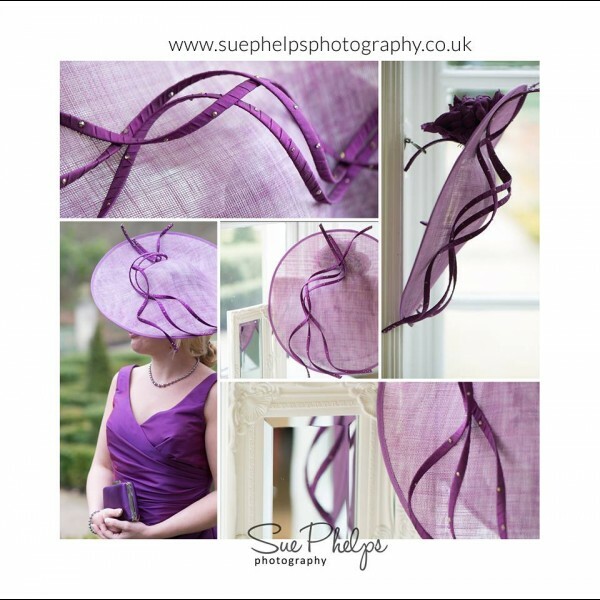 A statement saucer in a blend of Damson and Pearl Grey sinamay. 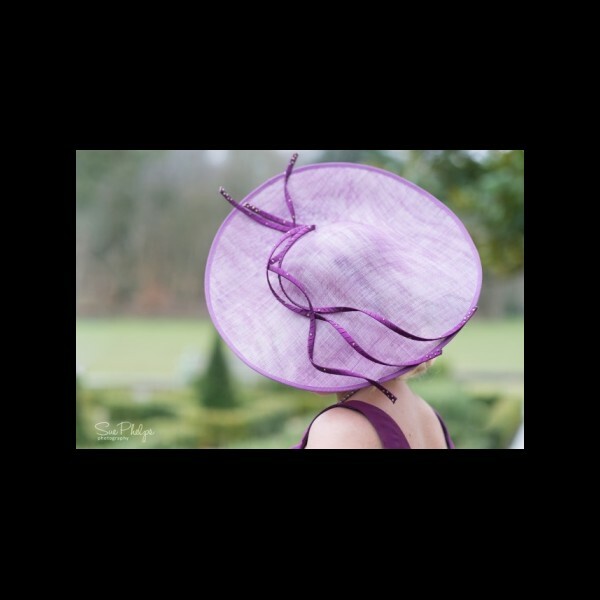 Spirals of hand wrapped silk loops trail across the upper side of this large saucer shape, with a hand cut and french toooled large silk flower is on the underside. 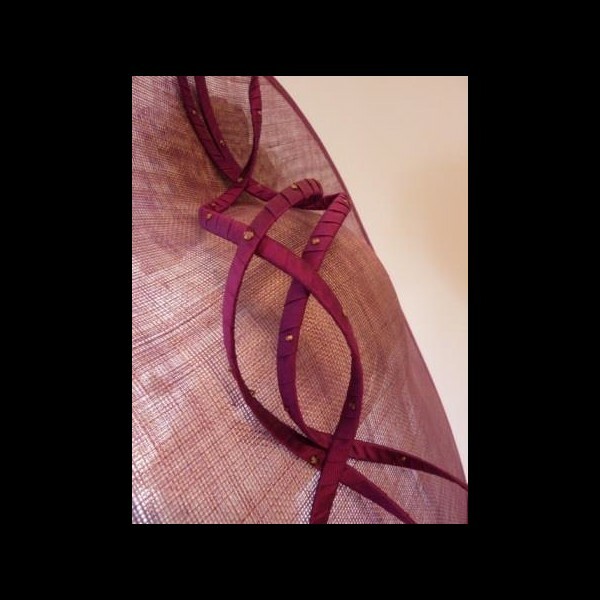 Mounted on a matching silk wrapped hairband for comfort and a concealed comb to help keep secure. 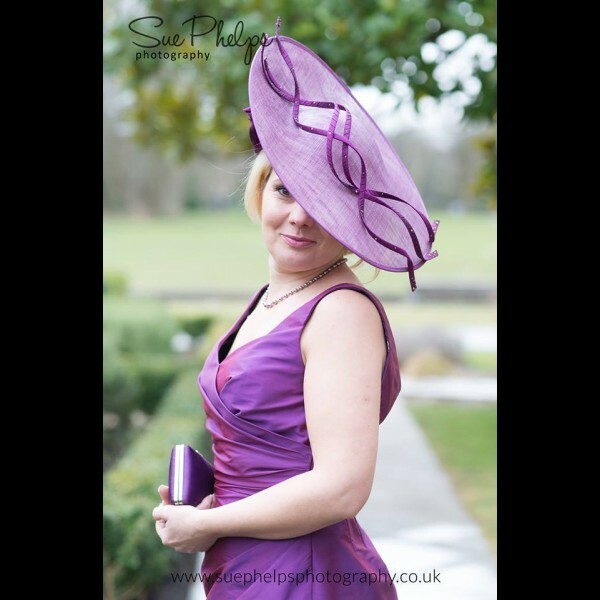 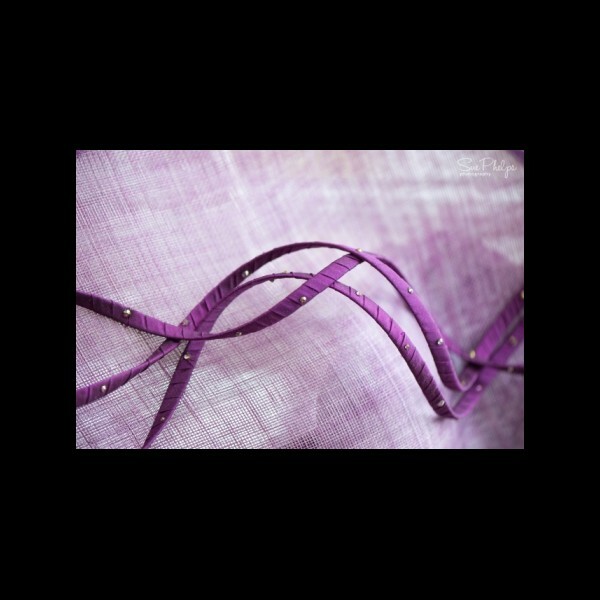 If you're not sure if the colour is quite right for your outfit then we are happy to post you a sample of the fabrics used, or you can visit our studio. 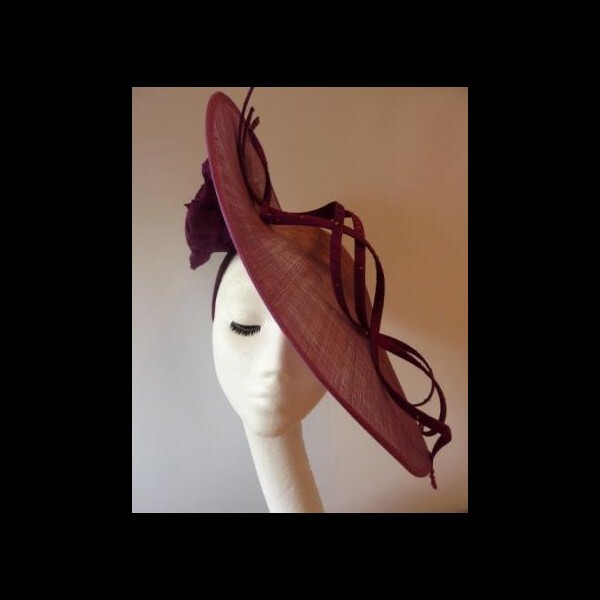 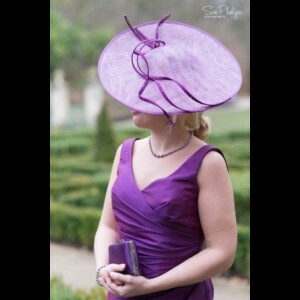 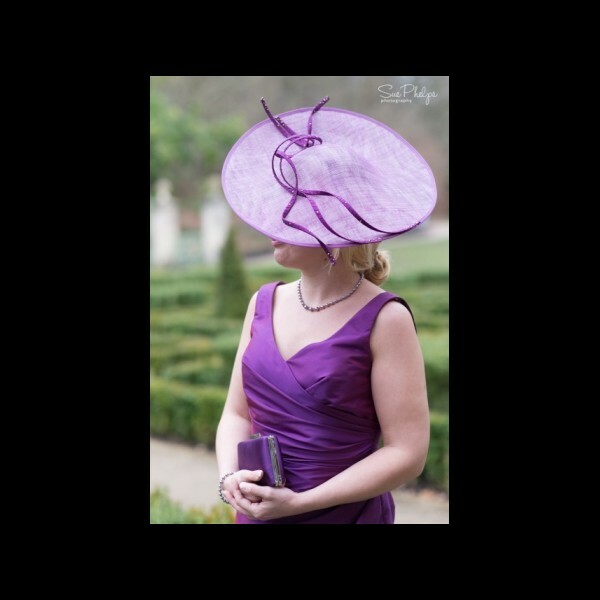 This style can be created in a myriad of colours by bespoke order.